Almost everyone in America, and indeed many throughout the world, knows the first line of the song, “Old Folks at Home,” and most refer to it as, “Way down upon the Suwannee River.” That famous river begins in the Okefenokee Swamp of South Georgia and meanders its way over 250 miles before emptying into the Gulf of Mexico. Nestled halfway between those points is Suwannee County, established by an Act of the Florida Legislature on December 21, 1858, and bordered on three sides by the famous river of song that gave the county its name. Built along the Pensacola and Georgia Railroad that was completed in 1861, Live Oak was named for a popular tree under which railroad workers rested and ate lunch. When a railroad depot was built near the tree, it was only natural for the small community that sprung up around it to be called Live Oak. A railroad junction into South Georgia was completed in early 1865, opening up the interior of Florida to settlement after the Civil War. This increase in prosperity helped Live Oak to become the county seat in 1868. An election held the following year confirmed Live Oak as the county seat, and it has remained such ever since. During the rest of the nineteenth century, many steamboats traveled the length of the Suwannee River, bringing travelers and goods to Suwannee County. In return, timber, cotton and other products were shipped to markets in the rest of the United States. Numerous railroads expanded into Suwannee County, and many well-known Florida short lines made their home here, including the Live Oak, Perry, and Gulf (the “Loping Gopher”), the Florida Railway and a variety of logging railroads. Practically every existing community in the county owes its creation to being situated along a railroad line. 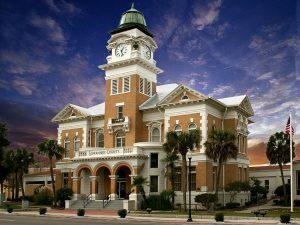 In 1903, Live Oak became a city and was also the largest community in Suwannee County. In fact, by the close of the 1905 state census, Live Oak was the largest inland city, and fifth-largest city, in all of Florida. Numerous sawmills, cotton mills, manufacturing plants and other businesses thrived in the city limits, and its citizens had access to nearly everything commercially available to Americans. These items were shipped via the plethora of railroads that intersected in the county seat. As befitted such a community, many new (mainly brick) buildings were constructed, replacing the first-generation wooden structures that had outlived their usefulness. Settlers continued to arrive in the outlying areas of Suwannee County, benefiting from the cheap land, abundant timber stands and possibility of growing rich from cotton and other crops. The natural springs at Suwannee Springs and Dowling Park, for instance, brought travelers from around the world to bathe in the sulphur waters there. In order to accommodate the growing city, the Union Passenger Depot was built in 1908, which would bring visitors and residents alike to Live Oak for nearly 70 years. However, Live Oak soon lost its status due to explosive South Florida growth, the devastation of the cotton crop by the boll weevil near the end of the First World War and the Great Depression. The loss during this period of many of the local railroad lines that had dotted the landscape for nearly 50 years was a further blow to the economy. Politically, the town remained in the forefront for another four decades until redistricting took into account the massive growth of southern Florida. 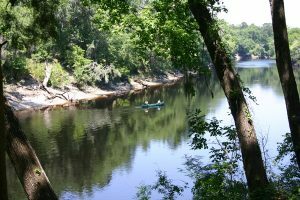 Today, Live Oak remains the largest community and only full-fledged city in Suwannee County.As it has been for many centuries, the dark and slowly-flowing Suwannee River will continue to draw visitors to its banks. The fact that the river is still more or less in its natural state appeals to nature lovers everywhere. Being a designated wild river by the federal government and the only major waterway in the southeastern United States that is still unspoiled doesn’t hurt either. The numerous springs in the Suwannee River attract scuba divers, biologists and just regular folks wishing to enjoy a swim in the cool 72-degree water. 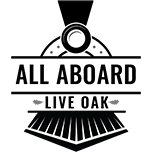 Economic growth coupled with ecotourism since 1970 has seen Suwannee County nearly triple its population, with additional businesses and opportunities moving in each year. 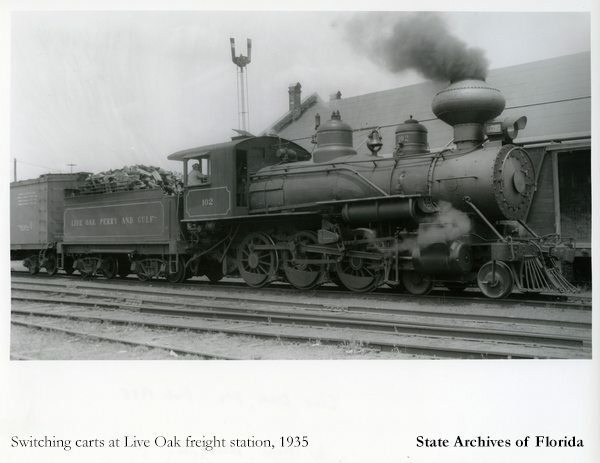 The culture of Live Oak is deeply rooted in its history of rail service – a history that deserves to be celebrated. Luckily, this rich heritage is still preserved today through its railroad tracks, visitors center and museum (housed in the original Union Passenger Depot) and its peoples. The inclusion of a new Amtrak stop will preserve and celebrate Live Oak’s history as well as beckon forth a new era for this Florida gem.